There are seven different settings on Kirakira+ App. To get a sense of what they’re like, here they are in order. This filter gives you a classic white-and-silver sparkle. This adds more of a colorful sparkle than Kirakira. The Airly filter is a lot softer and whiter, with a nice smoky glow. This filter gives everything in the video a vintage-y faded effect with multicolored sparkles. The Shine filter makes everything a bit more shiny and tan. This filter has bright sparkles like Color, but doesn’t wash out the rest of the image as much. Glare gives everything a foggy, hazy look. To use the app, open it and give it access to your camera and your microphone. The microphone is optional, but you’ll need to give it access to your camera or it won’t work at all. 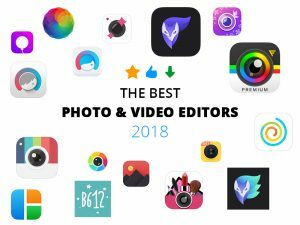 You can take videos and photos with this app. All Videos & Photos save directly to your camera roll, where you can upload it to Instagram, Snapchat or wherever else you want.